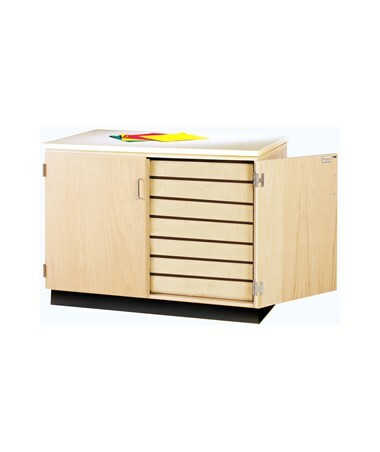 The Diversified Woodcrafts Drawing Paper Storage Cabinet is the perfect storage for flat items such as paper, blueprints, drawings and maps to protect it from wrinkle and tear. 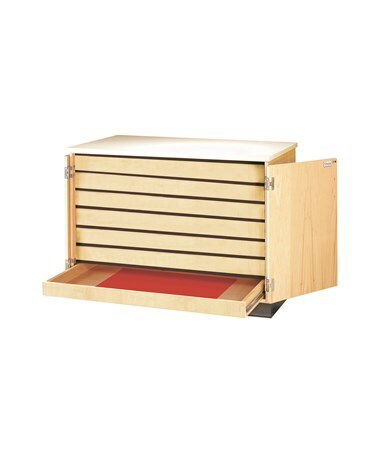 It features seven pull-out drawers with an inside dimension of 41"W x 24"D x 3"H. This versatile cabinet can also be used as a work surface with its 1-1/4" almond colored plastic laminate top. Constructed of solid maple and maple veneers, the Diversified Woodcrafts Drawing Paper Storage Cabinet is coated with an earth-friendly UV finish for a more polished look. The two doors come with a steel handle and can be locked. 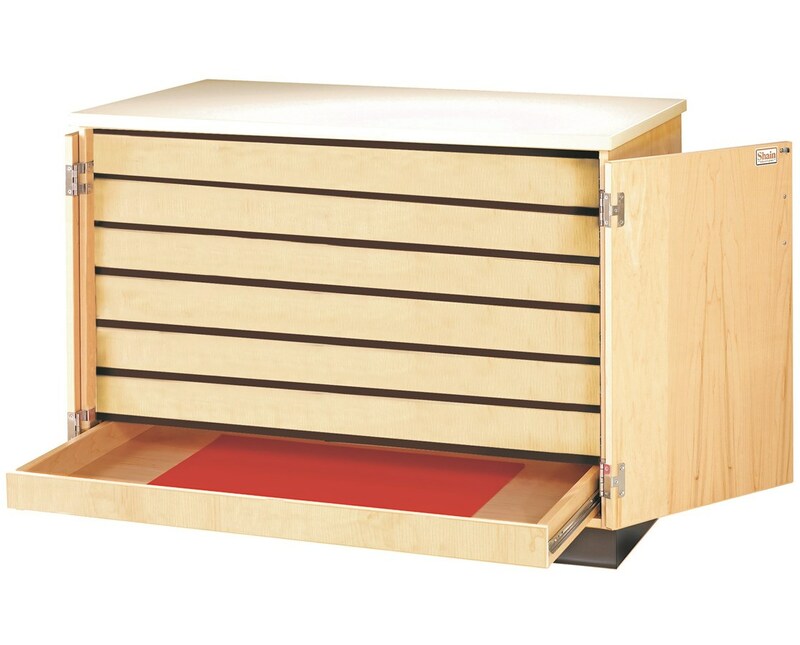 The Diversified Woodcrafts Drawing Paper Storage Cabinet has an overall dimension of 50"W x 30"D x 36"H, with its back unfinished it must be placed against the wall. It is made in the U.S.A. and is SEFA compliant and MAS Certified Green. It also comes with a limited lifetime warranty. Sheet Size 24" x 41"